Crepes For Change. Image by Jasmine Fisher. These days in Melbourne there are food trucks to suit every taste and appetite but not many can boast that they're also on a mission to change young lives for the better. 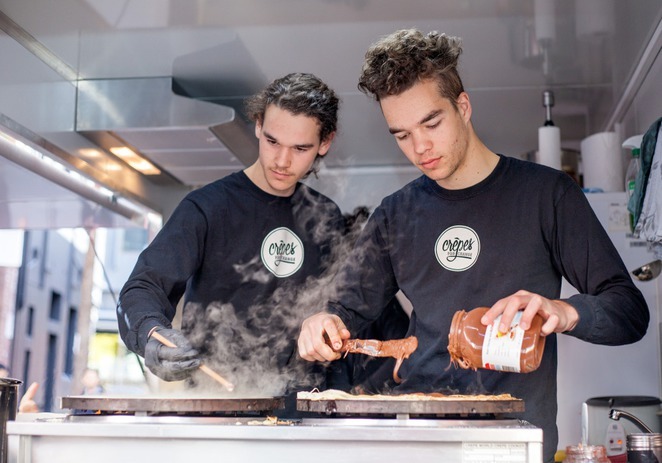 Started by a young group of entrepreneurs, this food truck has been serving up delicious French style crepes (including lots of Nutella), and pouring the profits back into eliminating youth homelessness. Founder, Dan Poole, was inspired by Melbourne café Streat which operates on a similar social enterprise model. He states that "According to the Australian Bureau of Statistics there are over 40,000 homeless young Australians. I just wanted to create a business around something that people look forward to eating and enjoying, that has a strong social element to it as well." Having previously worked in crepe cafes and lived abroad as an exchange student in France, it was only natural that this delicious snack would end up on the menu. 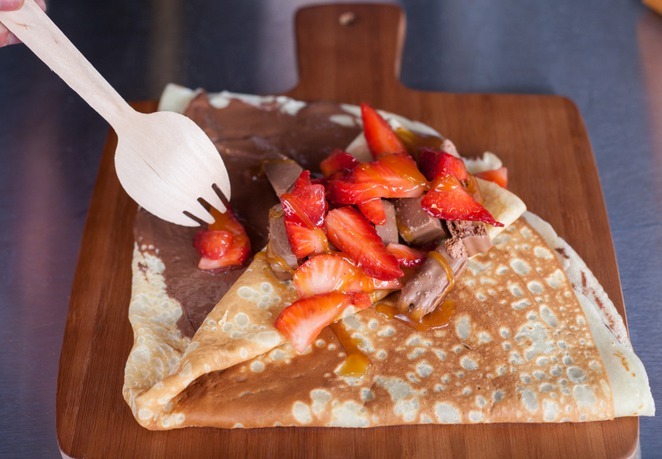 There are the traditional Nutella and lemon sugar crepes available, but those a little more adventurous might want to try flavours such as Snickers (peanut butter and chocolate), cinnamon donut and Tim Tam. Crepes For Change operates through a mix of volunteers and paid staff, and are now also running a hospitality training program where disadvantaged youth will be given the chance to learn some essential skills to find work in the food industry. 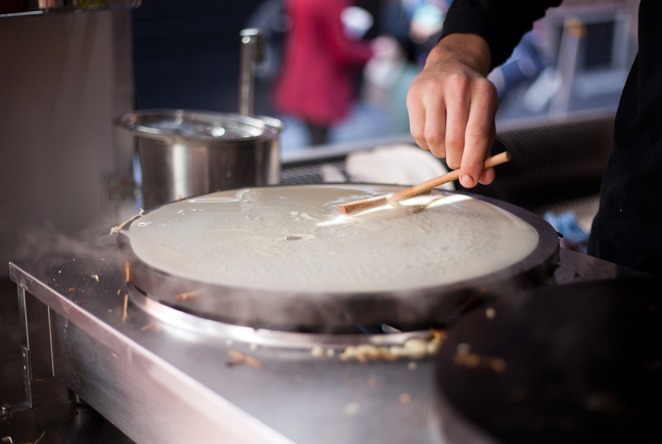 Through crowdfunding, grants and the help of some delicious crepes, Dan's dream has now become a reality that's making its way to events, festivals and markets all across Melbourne. So if you're after a sugar hit with a real impact, hop over and grab yourself a crepe.